To test the lightening effects of Argan Oil on it was applied to Melanoma cells. Results confirmed that there was a decrease in Melanin production in cells treated with Argan Oil. This decrease was found to be dependent on the dose of Argan Oil used. Researchers discovered that Argan Oil inhibits the conversion of enzymes called TYR and DCT – which make melanin. However, the production of melanin is affected by many body systems from hormones to inflammatory systems. 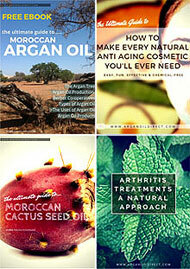 So how was Argan Oil having an effect on such a complex process? Dark spots and patches can be triggered by one or more of these body systems. For example, Melasma, is most commonly caused by hormonal imbalances. Skin damage – e.g. cuts from shaving, oven burns, acne – lead to inflammation that stimulates melanin in the damaged area. Acne and spots are probably he most common cause of annoying dark marks on the skin. It is also a non-comedogenic oil which means it does not clog pores. How does Argan Oil Lighten Dark Spots? 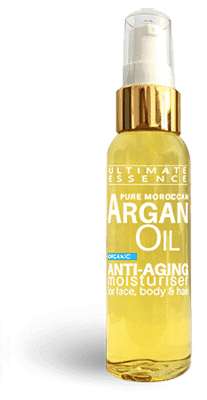 The effect of Argan Oil on melanin production is due to the high level of tocopherols enhanced by interactions with anti-inflammatory and anti-septic ingredients, Sterols and Triterinoids. In conclusion, Argan Oil is not a fast acting “lightening cream”. However, there is strong evidence to support its traditional reputation for giving a clearer, blemish-free skin and lightening dark spots with regular use over time. Hyper-pigmentation is a darkening of the skin in small areas or patches. It is the result of an over production of melanin stimulated by skin inflammation that may be caused by physical damage, scars, burns, and spots. Hormonal reactions can also cause Melasma – often known as “mask of pregnancy”. Emotional stress can also cause this type of hormonal melasma at any time of life. Reactions to beauty treatments, such as chemical peels and cosmetic products ingredients is also possible. Commonly available “fade creams” can help reduce the appearance of marks but they usually return again when the skin renews. Using natural oils is a multi-layered approach. The oil serum will help to lighten pigmentation in the skin but also inhibits new melanin production. This means marks should fade gently and not return as easily – and hopefully not at all! for Hyper-pigmentation, Age Spots, Dark Marks and Melasma. Essential Oils can have a strong effect. Please do a patch test with your lightening serum to test for any sensitivity to any of the essential oils before general use. Simply apply a few drops on to the side of your neck or your inner forearm and wait an hour or so to see if there is any reaction. To make measurement easier it may be worth buying 1ml pipettes that you will find cheaply on places like ebay. 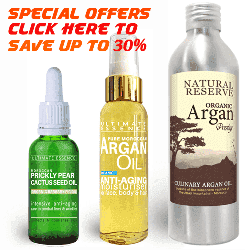 Pure Argan Oil is the perfect natural “carrier oil” for many serums for skin or hair. It has an immediate anti aging effect on the skin. It also has a gentle lightening effect, The high levels of Vitamin E in Argan Oil help with depigmentation. They affect a number of biological processes which cause melanogenesis – the cause of eccessive discolouration in skin. Linoleic acid in Argan Oil also has a lightening effect when applied topically. 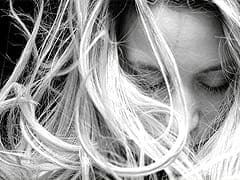 Very high in vitmain E, plant sterols and anti inflammatories Prickly Pear Cactus Oil is a good all around choice for anti aging and lightening action. If you want a single anti aging skin care oil which also tackles minor complexion problems cactus seed oil on its own can have excellent results. Lemon oil is one of the most powerful essential oil for skin lightening and for repairing discolored, melasma or hyper-pigmentation. Limonene and citric acid are major components of lemon oil. Limonene is excellent at treating skin discoloration. The citric acid is an Alpha Hydroxy Acid and this helps exfoliate the skin for a clearer more even complexion. Add to your lightening serum to use as an overnight treatment only. Carrot seed oil contains loads of carotol and also limonene thats is the powerful lightening agent in lemon oil. Carotol is also kown to brighten dull complexions and lightens skin marks. Beta carotene also inhibits tyrosinase activity and slows production of skin darkening melanin. 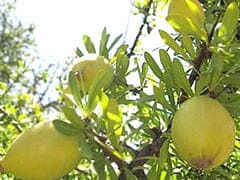 Although it also has a good lightening effect, like lemon oil, it also increases sun sensitivity. It is advised not to use carrot seed essential oil during pregnancy or nursing. Effective in lightening scars, blemishes and dark spots, geranium essential oil is one of the top essential oils for hyperpigmentation. It has a cell protective anti-oxidant effect and also inhibits elastase and tyrosinase and so melanin production. Rose essential oil also rejuvenates & brightens dull & discolored skin so it can also be used to even out hyperpigmentation. Rose oil has a strong anti inflammatory effect and may be ideal for treating hyper-pigmentation due to skin inflammation and melasma.